The early years are an important period for learning, but the questions surrounding participatory learning amongst toddlers remain under-examined. This book presents the latest theoretical and research perspectives about how ECEC (Early Childhood Education and Care) contexts promote democracy and citizenship through participatory learning approaches. 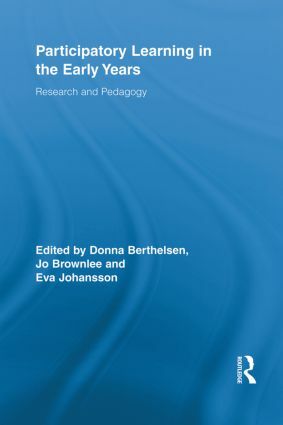 The contributors provide insight into national policies, provisions, and practices and advance our understandings of theory and research on toddlers’ experiences for democratic participation across a number of countries, including the UK, Australia, New Zealand, the United States, Canada, Sweden, and Norway.